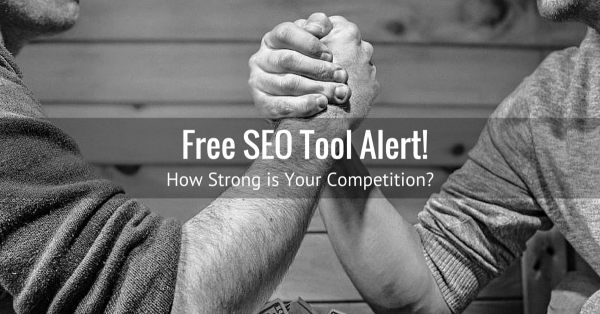 Free SEO Tool Alert: How Strong is Your Competition? 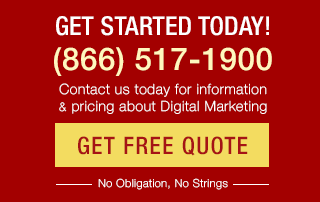 Search Marketing » Bruce Clay, Inc. Blog » Free SEO Tool Alert: How Strong is Your Competition? Search engine optimization tools — kind of our specialty. Bruce Clay’s suite of SEO power tools gives our own SEO specialists the data and analysis they need to service our clients and we’re pretty sure that these SEO tools can help you work through your search marketing to-do list a little faster. SEOToolSet is now in its sixth incarnation, bringing users new features and rich data. Over the years we developed free versions of some of the tools to extend their usefulness and let everyone use them without signing up. Who doesn’t love free samples? Bruce Clay, Inc. offers 10 stand-alone, lightweight versions of our SEO tools that run instantly without download or registration required. You can use them from the Free SEO Tools page on SEOToolSet.com, when you want, as often as you want, and without logging in. So far we’ve posted about five free SEO tools in our Free SEO Tool Alert Miniseries. 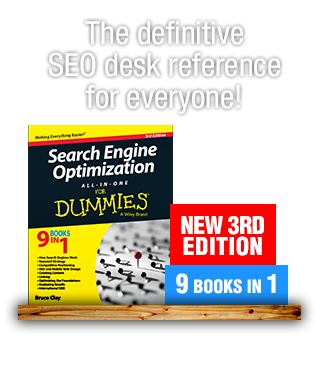 (You can see the entire miniseries here, including a lightweight backlink analyzer and the free version of the powerful on-page content analyzer, the Single Page Analyzer.) Today we introduce you to the Domain Indexing Report, which lets you compare your site and up to five competitors to see how the strength of the pack stacks up at a glance. What you’ll learn: Important domain-level statistics including PageRank and the number of pages indexed in the search engines about your own website and your competitors. Why this matters: You want to know how your website optimization compares to your high-ranking competitors. The domain statistics you get from this report let you see if you’re in the same weight class as them when it comes to certain elements of your on-site content. By comparing this data you can discover the quality and quantity of content you need for your niche and fine-tune your own website accordingly. Tip: Enter your main competitors’ domains according to each of your important keywords. Click on the number of indexed pages provided for each search engine to see the pages that have been indexed in that search engine. Once you click on the number of pages in Google, for example, you will be taken to the pages indexed in the actual search engine. Note: The Domain Indexing Report gives you a number of pages that might be different than the numbers of pages you see when you actually click on the link. This happens because for the actual report, we use the custom search API for each search engine; however the link sends you to results for a web search in the browser. Here’s Google’s explanation as to why that happens. 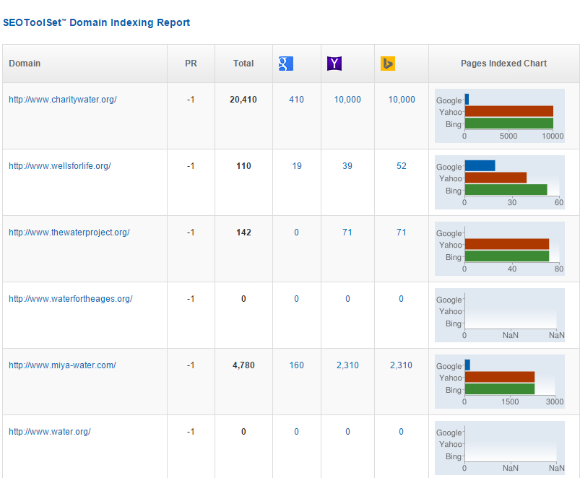 Compare the number of pages you have indexed in the search engines with your competitors. The Domain Indexing Report lets you see if there is a significant difference between your indexed page count and the number of pages your competitors have indexed in the search engines. Why is this important? A significant gap could be the reason why you’re not ranking as well as your competitors. For example, if you discover that your competitor has a thousand more pages indexed than your website, this insight can help you ask the right questions, such as “Are they writing about topics that you’ve overlooked?” Or, the Domain Indexing Report might reveal that you have a large number of pages indexed, while your most successful competitors are ranking well with less content. Why is this the case? Identifying the issue will allow you to ask the right questions and get to the bottom of your SEO issues. Along with revealing any disparities, comparing this data offers another benefit: It gives you an idea of the average or normal website page count for your type of business or industry. 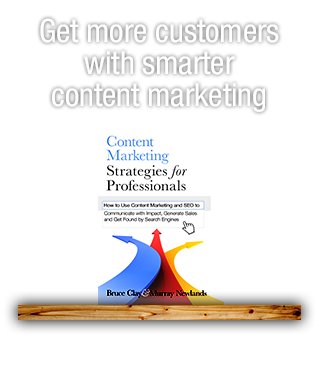 This information allows you to see where you stand and whether you need to add more content to your website to be seen as a trustworthy expert in your field. Examine the way search engines consider your site. Using the Domain Indexing Report, you will get a good idea of whether the search engines are crawling your site the way you want them to. If you see that there’s a big difference across each search engine, it’s time to look deeper into why that might be the case. For example, you might find that the difference is due to the fact that some search engines index faceted search pages and others don’t. 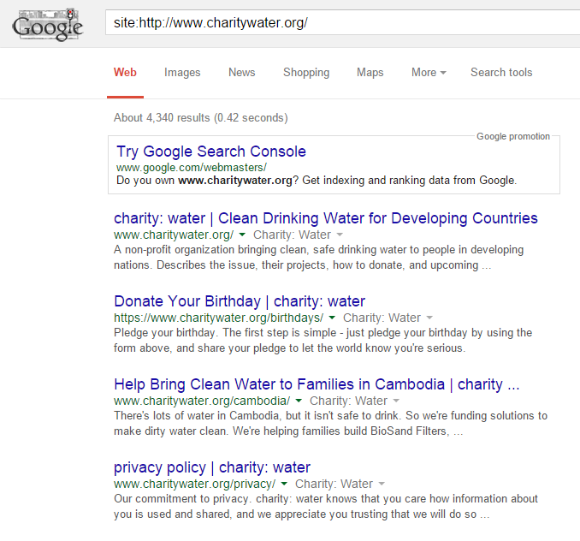 If search engines find pages with filters on them, they may or may not include them in their index. So if you discover that this is the reason for the difference you can then take the necessary steps to fix the problem. Compare your PageRank with your competitors’. PageRank is a score Google calculates using the number of inbound links and other factors (you can learn more about What is PageRank here.) Google has said that it doesn’t update the PageRank score anymore, but it’s still a metric that can be considered in SEO analysis. How does your PR compare to your strongest competitors? The Domain Indexing Report will tell you. Learning the PR of your competitors gives you a clear idea of the weight class you have to fall under in order to compete in the ring. If you find that you’re in the same weight class, great. You can now focus your SEO efforts on beating your competition in that ring. But if you find that you’re way off, it’s time to start working out — or getting your website on par with your strongest competitors. You can access the same domain data featured in the Domain Indexing Report by subscribing to SEOToolSet Pro. The only difference is that the information in this report is featured in a different tool, the Multi Page Analyzer. To see the domain data in SEOToolSet Pro, run the Multi Page Analyzer and select the “Off-Page Ranking Factors” tab. The Domain Indexing Report is a free and simple competitive analysis tool that allows you to see whether you’re in the same weight class as your competitors. Sample the Domain Indexing Report and the rest of the lightweight tools we offer to test, analyze, and improve your strategies, for free. If you’re happy with the results, we invite you to sign up for our forever-free SEOToolSet Lite or the SEOToolSet Pro for $89 per month for two site projects. You can learn about the two subscription choices here. Fantastic tool that make competition analysis faster and easier. Thanks for the heads up! Good tools are hard to bye so this is a handy tool to know about, reference to Pagerank is a little dated having last been updated by Google in Dec 2013, page and domain authority what we are looking for now and there are some other tools out there that work well i.e. Moz. But as the author alludes to, backlinks are not to be taken lightly either when creating or updating. Your information assists me to get the clear details to know our competitor and how to beat them..